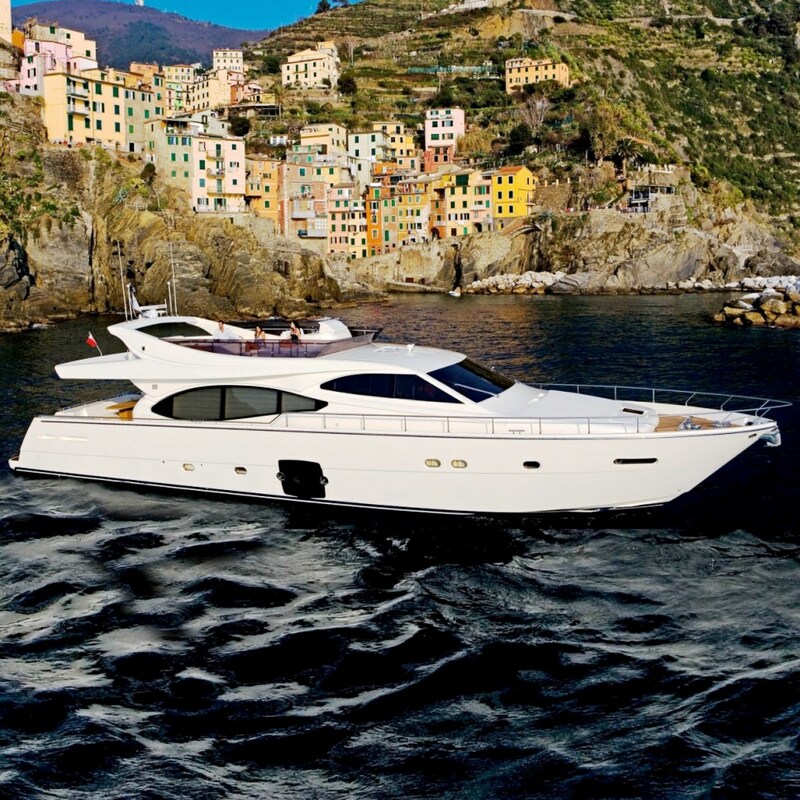 This 2009 Ferretti 780 called LAVITALEBELA is a 24,05 Meters 78.9 Feet luxury motor yacht which is available for charter vacations in the Mediterranean. 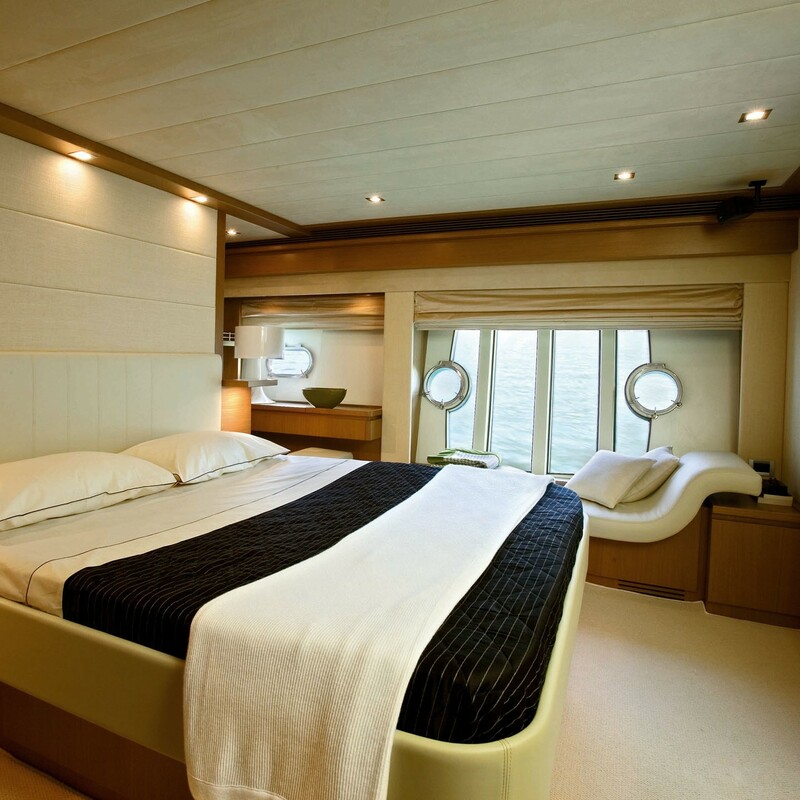 Motor yacht LAVITALEBELA can accommodate up to 8 charter guests sleeping in 2 double and 2 twin cabins and cruise with as many as 12 onboard. ‘The Ferretti 780 is 24 meters long and features a completely innovative internal yacht design and layout. 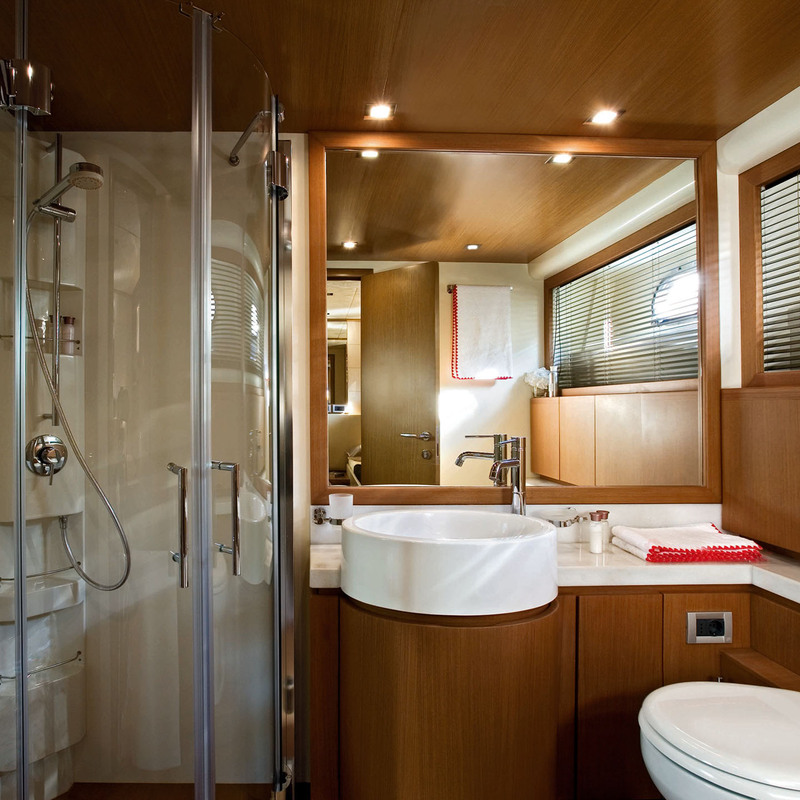 The Ferretti 780 guarantees ample space and is finished in heartwood and teak rather than the traditional cherry wood which is used by most yacht manufacturers in yachts of this size. 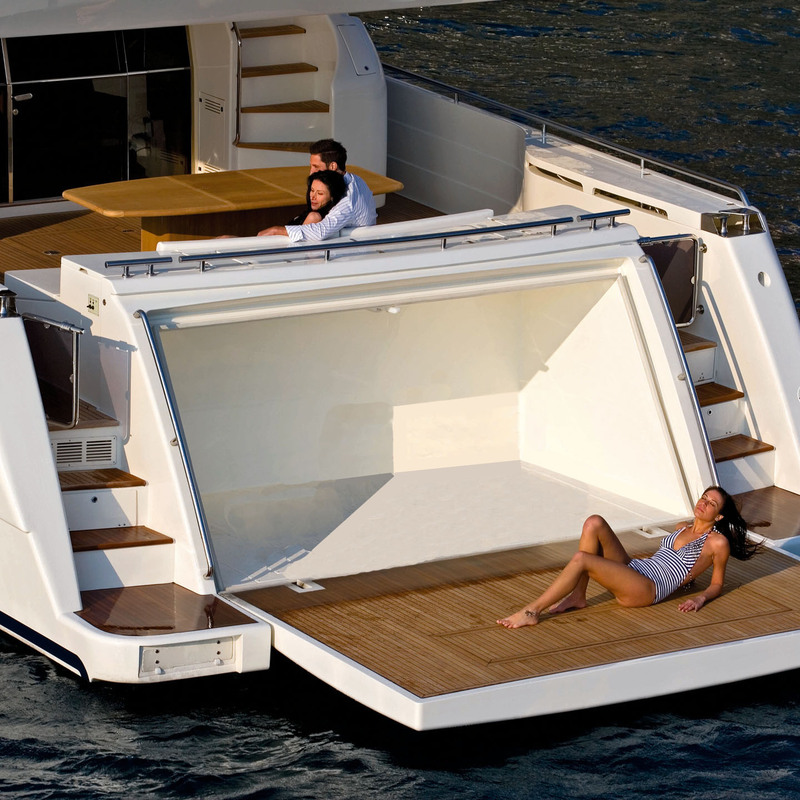 The flying bridge access stairs are integrated into the side of the yacht which means there is continual visibility from aft to bow. 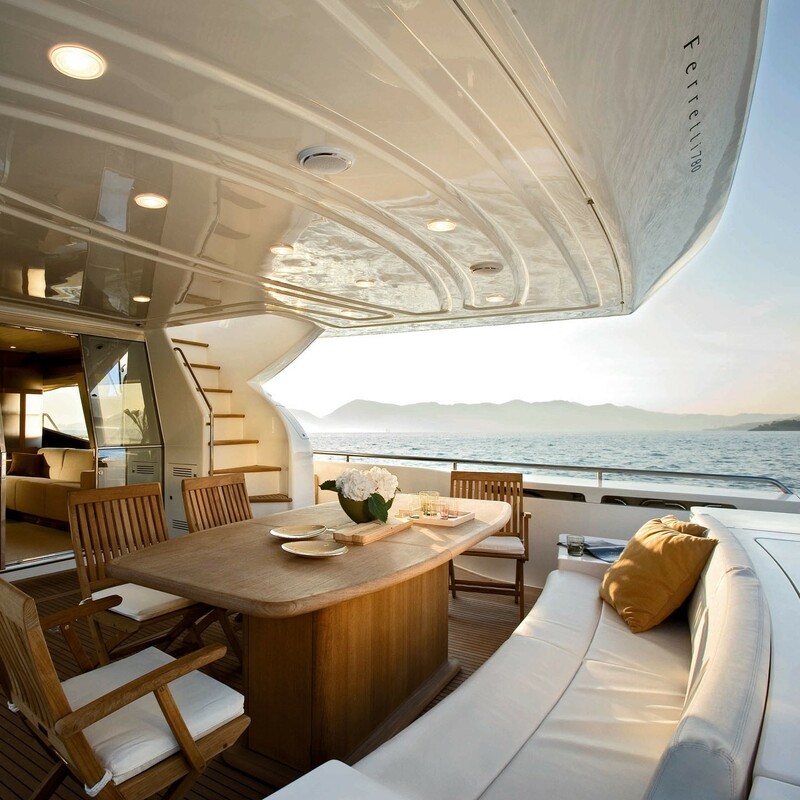 This design also increases the salon space in the superyacht which has two modern styled sofas. Engines: 2 x 1660 Hp MTU 12V 2000 M92. 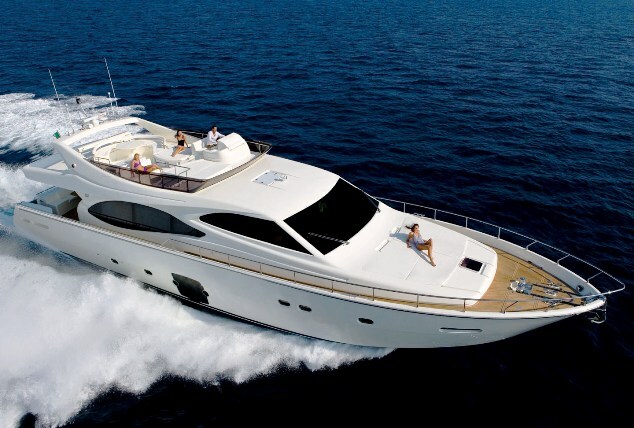 Motor yacht LAVITALEBELA Tenders & Toys 1 tender Zodiac RIB 3,60m with Honda 30Hp outboard four stroke Communications VHF(2). SSB. 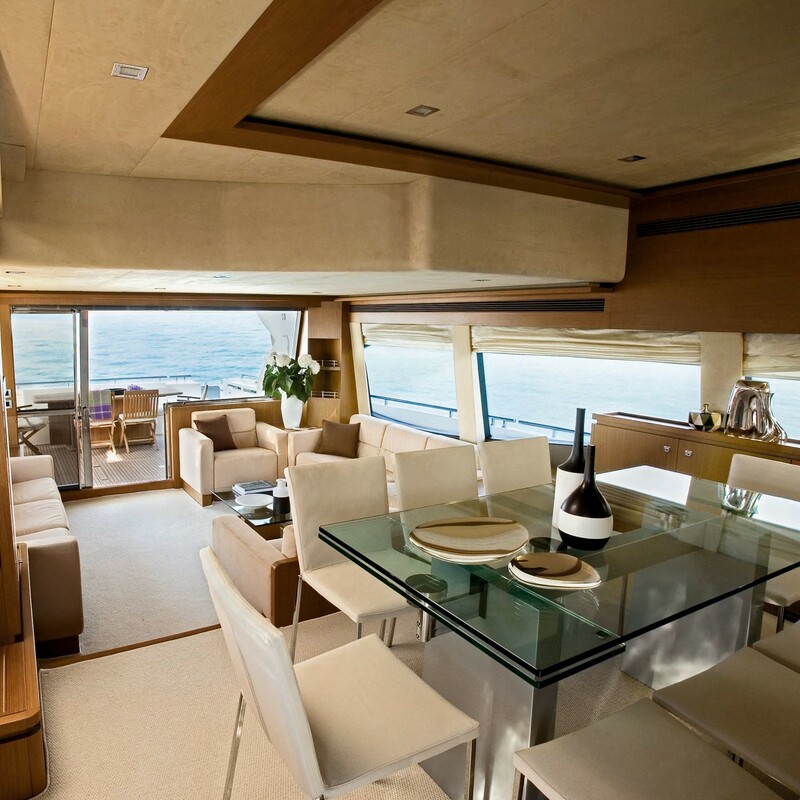 GSM/Voice/Fax Audio Visual Equipment and Deck Facilities LCD TV 32" in the saloon. Bose Home Cinema system LIFESTILE 18 (5 loudspeakers, subwoofer) in the saloon. LCD TV 15" - CD/DVD radio with 2 loudspeakers in the Master cabin. 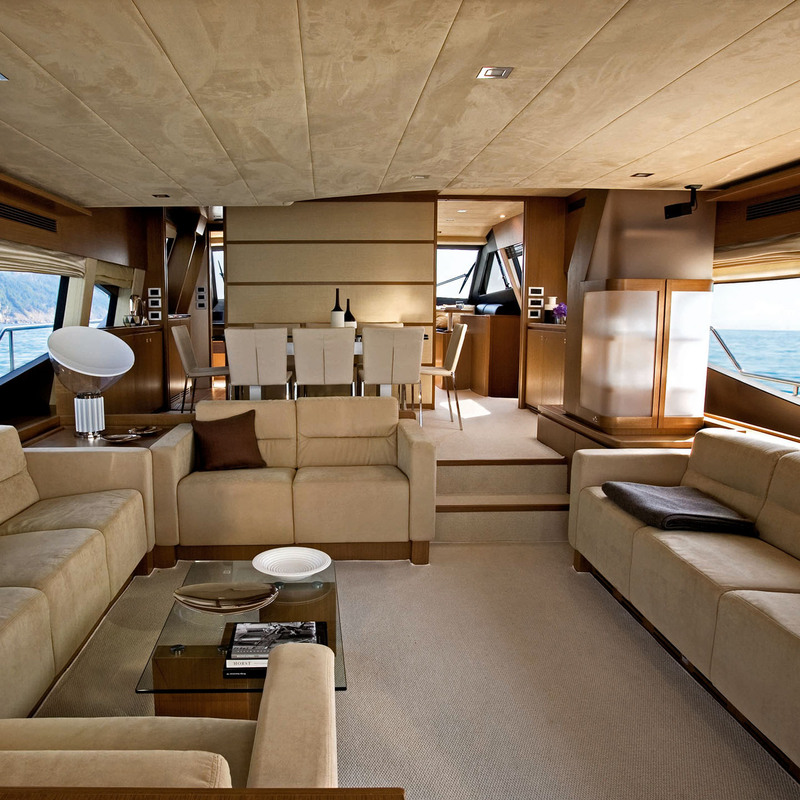 LCD TV 15" - CD radio with 2 loudspeakers in the VIP cabin. CD radio with 2 loudspeakers in the galley. LCD TV in lobby crew area. Satellite TV Navisat.